Distinguished as one of the nation’s top vascular surgeons by Castle Connolly and U.S. News & World Report, Dr. Samuel S. Ahn currently treats patients at University Vascular Associates in Los Angeles and DFW Vascular Group in Texas. 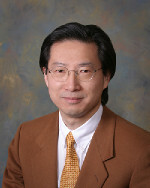 A founder of both facilities, Dr. Ahn focuses his practice on minimally invasive procedures to address carotid artery disease, thoracic aortic aneurysms, peripheral artery occlusive diseases (PAD), hyperhidrosis, and similar conditions. He holds board certification in both general and vascular surgery and maintains affiliation with some of the most respected medical organizations in the country, including the National Board of Medical Examiners, the International Society of Vascular Surgery, and the American College of Surgeons. Join Today to follow and contact Samuel Ahn.